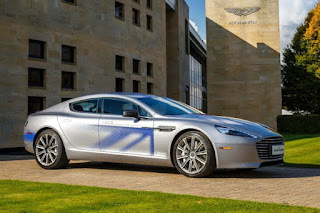 IN his continuing search for the more weird, wacky and wondrous in this world, David Ellis says that while Australians may not yet be taking as enthusiastically as some other nations to the concept of electric cars – Britain's Aston Martin is even developing an electric version of James Bond's favourite 4-door Rapide – there's one popular NSW regional centre believes it's jumped the gun on many others with a just-opened electric vehicle (EV) recharge facility at its local visitors' centre. The Southern Highlands, embracing Bowral, Mittagong, Moss Vale, Berrima, Bundanoon, Exeter and surrounding villages, is already one of the State's most-visited tourism regions with wineries, gardens, antique and boutique shopping, abundantly diverse dining, galleries, history and heritage, caves and bushwalking. And at under 1.5hs south of Sydney it attracts 1.4m visitors a year. 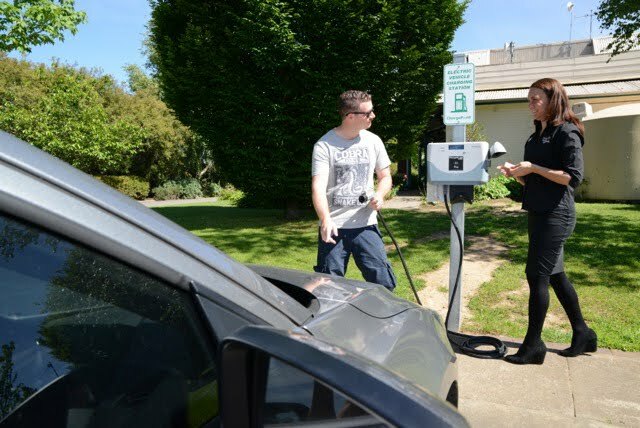 "Being just 113km south of Sydney's CBD, and with most EVs having a driving range of up to 170kms, we're easily accessible for a day, a weekend, or longer to enjoy all we have to offer here," said Southern Highlands tourism chief, Steve Rosa. "Plus with Goulburn having a recharger suitable for owners of the major Tesla brand electric vehicles, that can also recharge at our facility, we see ourselves as a-now focal attraction on a developing 'electric highway' from Sydney to Canberra." The Mittagong recharger can service two EVs simultaneously, and is compatible with 58 of the 60 known EV and plug-in hybrid vehicle models in Australia, with the other two able to access with an adapter.